The Policy includes how we look after your personal data when you visit our website www.wrightvigar.co.uk (which is covered below by the expression “our website”) (regardless of where you visit it from) and tells you about your privacy rights and how the law protects you. This Policy also applies to any personal data collected or received through means other than our website – for example via email, letter, telephone or face-to-face contact. Directly from you – you may give us your identity, contact and financial data by filling in forms or by corresponding with us by post, phone, email or otherwise, including face-to-face contact. This includes personal data you provide when you request our services, use our website, subscribe to our mailings or publications, request marketing material to be sent to you, enter a competition, promotion or survey or interact with us on social media or give us some feedback. From a third party acting on your behalf e.g. an intermediary or broker. 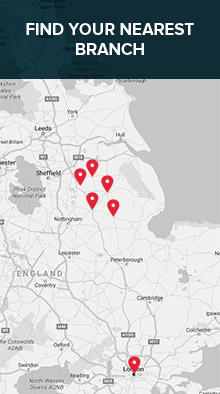 From publicly available sources such as Companies House or from public regulatory bodies such as HMRC. As you interact with our website, we may automatically collect technical data about your equipment, browsing actions and patterns. We collect this personal data by using cookies, server logs and other similar technologies. We may also receive technical data about you if you visit other websites employing our cookies. Identify, contact and financial data from providers of technical, payment, delivery and credit reference services. Please follow this link for the Privacy Notice of the credit reference agency we may use. Technical data from, for example, analytics providers such as Google, some of whom are based outside the EEA and search information providers, some of whom are based outside of the EEA. Personal details e.g. name, address, email and telephone number. Financial information such as bank details, bank statements and details of investments. Details of contact we have had with you in relation to the provision, or the proposed provision, of those services. Details of and services you have received from us. Correspondence and communications with you. For purposes necessary for the performance of our contract with you or your employer or our clients (which will most usually be for the provision of our services) and to comply with our legal obligations. For the purposes necessary for the performance of our contract with our clients (which will most usually be for the provision of our services), where you are an employee, subcontractor, supplier or customer of our client. To provide you with information related to our services and our events and activities that you request from us or which we feel may interest you. Additionally, advise you about any changes to our services. For the purposes of our own legitimate interests provided that those interests do not override any of your own interests, rights and freedoms which require the protection of personal data. This includes processing for marketing, business development, statistical and managements purposes. For certain additional purposes with your consent, and in these limited circumstances where your consent is required for the processing of your personal data then you have the right to withdraw your consent to processing for such specific purposes. For more than one lawful basis depending on the specific purpose for which we are using your data. To request your feedback and opinions on the services we provide. In some circumstances we may anonymise the personal data so that it can no longer be associated with you, in which case we may use it without further notice to you. We may also process your personal data without your knowledge or consent, in accordance with this Policy, where we are legally required or permitted to do so. If you refuse to provide us with certain information when requested, we may not be able to perform the contract we have entered with you. Alternatively, we may be unable to comply with our legal or regulatory obligations. Whether the purposes of the processing could reasonably be fulfilled by other means. Information we use for marketing purposes will be retained until you notify us that you no longer wish to receive communications from us. We have put in place appropriate security measures to prevent your personal data from being accidentally lost, used or accessed in an unauthorised way, altered or disclosed. 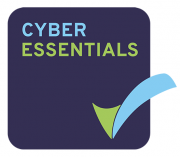 This includes Cyber Essentials Accreditation. We do not store any personal data in the cookies that we use and store your information anonymously to assist us in the running of the site, and for monitoring the activity and traffic both to and through our website. To do this we use Google Analytics cookies. Depending on the browser you use you should be able to control what cookies are placed on your device through the browser settings. To find out more about cookies, including how to see what cookies have been set and how to manage and delete them, visit www.aboutcookies.org.uk or www.allaboutcookies.org. We use Google Analytics to analyse the use of our website. Google Analytics generates statistical and other information about website use by means of cookies, which are stored on users’ devices. The information generated relating to our website is used to create reports about the use of our website. Details captured during your visit will include, but are not limited to, traffic data, location data, weblogs and other communication data and the resources you access. However, all data collected is anonymous and will not identify you as an individual. Request erasure of your personal data. This enables you to ask us to delete or remove personal data where there is no good reason for us continuing to process it. However, we may not always be able to comply with your request of erasure for specific legal reasons which will be notified to you, if applicable, at the time of your request. Object to processing of your personal data where we are relying on a legitimate interest (or those of a third party) and there is something about your particular situation which makes you want to object, as you feel it impacts on your fundamental rights and freedoms. You also have the right to object where we are processing your personal data for direct marketing purposes. In some cases, we may demonstrate that we have compelling legitimate grounds to process your information which override your rights and freedoms. Withdraw consent at any time where we are relying on consent to process your personal data. However, this will not affect the lawfulness of any processing carried our before you withdraw your consent. If you withdraw your consent, we may not be able to provide certain products or services to you. We will advise you if this is the case at the time you withdraw your consent. If at any time you believe there has been a loss of your personal data or you wish to raise a complaint on how we have handled your personal data, you can contact our Chief Operating Officer who will investigate the matter. Our Chief Operating Officer is David Thompson and you can contact him at david.thompson@wrightvigar.co.uk. If you are not satisfied with our response or believe we are processing your personal data not in accordance with the law, you can complain to the Information Commissioner’s Office (ico.org.uk). We keep this Policy under regular review and it was last updated in August 2018.